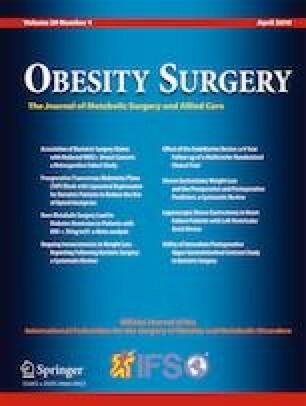 Bariatric surgery leads to more rapid and greater weight loss (WL) compared to medical weight loss (MWL), but the differences in body composition (BC) changes for these modalities remain unclear. Due to the known health risks associated with central adiposity, we compared the changes in regional distribution of fat mass (FM) and lean mass (LM) after surgical versus MWL. In this 1:1:1 randomized trial among 15 persons with type 2 diabetes and body mass index (BMI) 30–39.9 kg/m2, we compared changes in BC, by dual-energy X-ray absorptiometry and abdominal computerized tomography, at time of 10%WL or 9 months after intervention (whichever came first). Participants underwent MWL, adjustable gastric banding (AGB), or Roux-en-Y gastric bypass (RYGB). Non-parametric tests evaluated BC differences (FM, LM, and visceral adipose tissue [VAT]) within and across all three arms and between pair-wise comparisons. Twelve female participants (75% African American) completed the study. Patient age, BMI, and baseline anthropometric characteristics were similar across study arms. AGB lost more LM (MWL − 5.2%, AGB − 10.3%, p = 0.021) and VAT (MWL + 10.9%, AGB − 28.0%, p = 0.049) than MWL. RYGB tended to lose more VAT (MWL +10.9%, RYGB − 20.2%, p = 0.077) than MWL. AGB tended to lose more LM than RYGB (AGB − 12.38%, RYGB − 7.29%, p = 0.15). At similar WL, AGB lost more LM and VAT than MWL; RYGB similarly lost more VAT. Given the metabolic benefits of reducing VAT and retaining LM, larger studies should confirm the changes in BC after surgical versus medical WL. Sanskriti Varma and Clare J. Lee contributed equally to this work. The authors would like to thank the patients and staff at the Johns Hopkins Center for Bariatric Surgery and the Institute for Clinical and Translational Research staff, without whom this research would not be possible. The study protocol is available upon request (submit request to jclark1@jhmi.edu) beginning at the time of publication and ending 36 months after publication. We are unable to share the individual participant data from this study. JMC and NMM were supported by Grant Number 1R01DK089557 (PI: J Clark, NIH, NIDDK). CJL was supported by Grant Number 5KL2TR001077-02 as part of the Institute for Clinical and Translational Research Grant from the NIH/NCAT and career development award from the NIH/NIDDK (K23DK107921). This study was also supported by the Translational Research Enhancement Core of the Hopkins Digestive Diseases Basic Research Development Center (P30, DK089502-01 NIDDK/NIH) and by the Johns Hopkins Institute for Clinical and Translational Research (ICTR) which is funded in part by Grant Number UL1 TR001079 from the National Center for Advancing Translational Sciences (NCATS) a component of the National Institutes of Health (NIH), and NIH Roadmap for Medical Research.